The periodic cleaning of all surfaces is an essential aspect of any manufacture & warehouse maintenance plan. Client inspections, health department and OSHA inspections are all events that are not a problem when you schedule periodic cleaning. 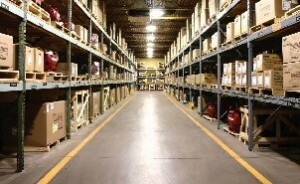 ServiceMaster of Greater Pittsburgh provides a wide range of cleaning services for industrial warehouse facilities. We use professional grade cleaning equipment and our staff are fully trained with the experience to take care of any issue you may have in your commercial warehouse. Our technicians have been certified to operate scissor & areal lifts to be able to accommodate every need you may have. For additional information or to schedule an estimate, please contact us at 412-826-1010. Serving areas from Saltsburg to Joffre, to Upper St Claire and Watters, ServiceMaster of Greater Pittsburgh is here to assist you.